Last week before the Brooks 10k next weekend for some, for others the chance for a beautiful off road route before we lose all the gorgeous autumnal leaves. This six mile/10k off road route has hills – up and down – so it is ONLY suitable for those who have run this distance recently and are used to off road running. Don’t forget that our NEW courses for the half marathon and also total beginners starts November 20th so this is the PERFECT opportunity to join us at the start so that you can take part in our off road group runs. We take our responsibility as coaches seriously and would not want to take those not yet ready for off road running for risk of injury. This week, we will have three different pace groups and you will need to stay with your group throughout – if you’re a little faster than the one you are with please be prepared to wait or loop back. Coaches: Rachael with RA Lucy and Tor. Stunning Stanmer..we won’t go up this way! When we last did this route, everyone said it was their favourite run of all time. It has its ups – and ups! But it is also one of the most scenic runs in our unique Fitbitch library of routes so don’t miss it. If you are part of one of our running courses, this is an important step in your training with the hills working to help build your strength and speed (take away the hills on race day and you’ll fly – not to mention being psychologically prepared). Due to popular demand, we are also opening this to drop-ins (£10) although this route is NOT suitable for beginners. If you are attending as a drop in you MUST INFORM US IN ADVANCE BY FRIDAY 26TH JULY at the latest. No last min bookings. Regardless of whether you are a drop in or have booked our course, PLEASE COMMENT HERE IF YOU ARE COMING so we can ensure we have sufficient coaches (please let us know as far in advance as possible). Please note that we start our Amsterdam (12 weeks) and Royal Parks (10 week) training next week – it will start with a mileage of four miles so don’t panic if you can’t run this distance this week. You’ll be covered next week. Course prices and booking will be available by this Friday. Explore by running – don’t worry we’ll be running along the bottom of here! Whether you are looking to enjoy a social run off-road with a women’s running community, or you want help to improve your technique, off-road running pace and more, this Sunday’s session has it all. There are two distances to choose from, 5miles or a 9.5mile route. Both offer stunning views on an off-road route. Our five-mile route has a gradual incline up to Devil’s Dyke while the return will be downhill and we will work on helping you improve your face and finishing fast. Don’t worry if you are new to us, or worried about running fast. We always have someone at the back to help those newer runners. Our 9.5mile route is a hilly one – which means the ups and the downs. 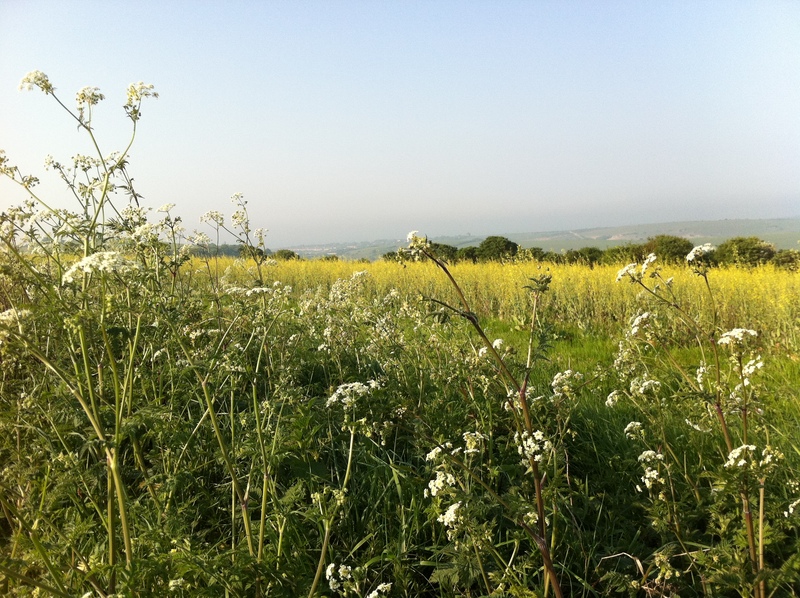 It is a beautiful route where we will be coaching – and coaxing – you up the hills. But it is a route that we have picked with recovery sections so you will get the chance to recover – and chat – in between! PLEASE COMMENT HERE IF YOU ARE COMING, AND TO WHICH DISTANCE. iF YOU ARE NEW TO US, PLEASE EMAIL INFO@FITBITCHBOOTCAMP.COM AS YOU WILL NEED TO FILL OUT A FORM BEFOREHAND. Please arrive in time to pay for the run, sign in and be ready for departure promptly at 8.30am. Location: The first car park on the right on Devil’s Dyke Road (pls note, d.d road is after it forks off on the way to devil’s dyke). Get your Spring running season on the go this Saturday (usual weekend run is on Sunday except for this week) with our training run for beginners who would like to train for the Heroes 10k – or just want to train for fun. And don’t miss our ‘Escape & Chase’ special run for those training for Tough Mudder or the Bluebell 10k and 10miler. All runs are open to everyone even if you have not been before as drop ins at £10 although they are better value if you purchase a package, which include the cost of the runs and a complimentary training plan. (except TM). If you buy a package and can’t make a Sunday run, you can use it at our Yoga for Runners classes on Monday evenings, 6pm. 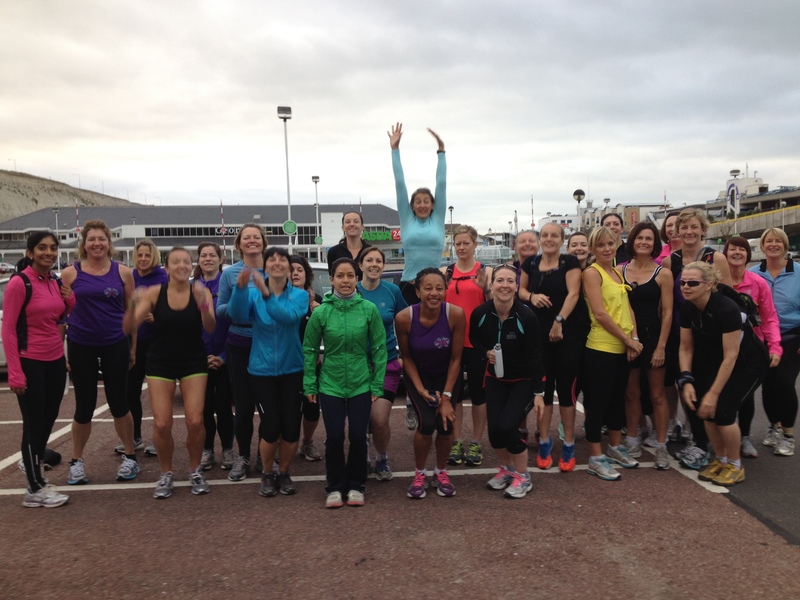 Our beginners to 10k run will be 2.5mile flat run along the seafront. BlueBellers have a final post race run of 6 miles with a steady uphill and a downhill all the way back. Tough Mudder crew (anyone like to join our crew training for this contact rachael 07855 742195) are on for a five mile run. But there is a twist…both BB & TM groups will be running together but when the five mile crew turn early, their task will be to increase their pace on their return to avoid being caught. Bluebell runners on six miles, your job is to catch them. This will help everyone work on their pace and give this week’s training run more focus. No one will get left behind so don’t worry if you are a slower runner, although we will be encouraging you to join in the ‘hunt’ or the escape! PLEASE COMMENT HERE IF YOU ARE COMING AND FOR WHICH RUN. Brighten up your Sunday with a run from Stanmer where the daffodils will be on show – er, along with the Spring sun according to the forecast. We have two different mileage groups this week, the taper 7miles for our marathon group who will join those training for the BlueBell 10k, also running 7miles. And the race simulation 10miles for our BlueBell longer distance group, with a lap at the end to help you all focus on race preparation. We are nearing the final weeks of training for both these groups and so neither are suitable for beginners or those not used to off road running (our new groups for beginners-intermediates start in a few weeks). And let’s support our marathon runners – their last Sunday run before the big day! We will be organising Support Bases for next Sunday’s marathon. Please note that next week’s training run will take place on Saturday so that we can support our marathon runners. Coffees can be enjoyed after at Stanmer House if anyone wants to stop for a drink. PLEASE COMMENT HERE IF YOU ARE COMING, IN ADVANCE OF SUNDAY SO WE CAN PLAN ACCORDINGLY. We run in groups, if you are fast we may give you some extra work (speed repeats or more) to help improve your running while others catch up – don’t worry, this most definitely won’t affect your run speed! Don’t run ahead of the front coach. If you are caught between a front and back group, only proceed on the route if you can see the group up head. If not, wait. If you decide to turn back let one of our ambassadors or coaches know. Are you one of these runners? 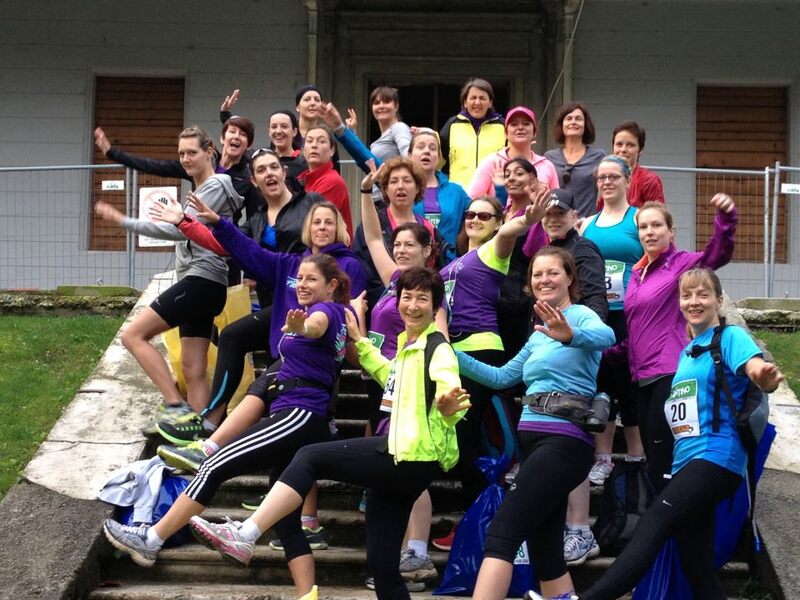 Then you are not unlike hundreds of women who have joined our running club in the last three years but who now love running. 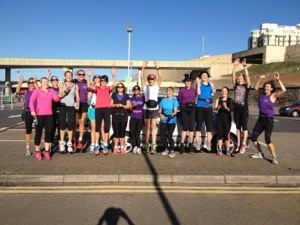 We’ve helped coach hundreds of women to distances they never imagined they would be capable of, much less enjoy. And we are talking 0-5k in four weeks, and to half marathon and marathon level in a year. But the great thing about running is not the distances or the PBs, it’s that huge endorphin buzz you get, along with the feeling of confidence when you realise you really can achieve anything that you set your mind on. And then there’s the side effect on your body shape too, no bad thing! If you want to feel the Fitbitch effect for yourself, join us in training for either 10k or 10miles. The training group will be geared towards the BlueBell Trail Race April. You don’t HAVE to run this but it’s great to have a goal and will keep you motivated, especially as you’ll be running it with a group of women who you will have trained with for 12 weeks. Both courses will start at a distance of four miles (perfect if you have just finished our Beginners 0-5k course). The price of the package will include a training plan, Wednesday (7.30pm) and/or Sunday (8.30am) training, as well as a Fitbitch race t-shirt. (you can choose both sessions or use a half package across either session). Most Weds sessions take place in Hove, Sunday sessions start from different locations. For prices and bookings, visit our brand website. If you’re a complete beginner then don’t miss our next 0-5k course, details via the same link. Don’t be fooled – it’s not all this level! As with last week all our runners are starting out together. 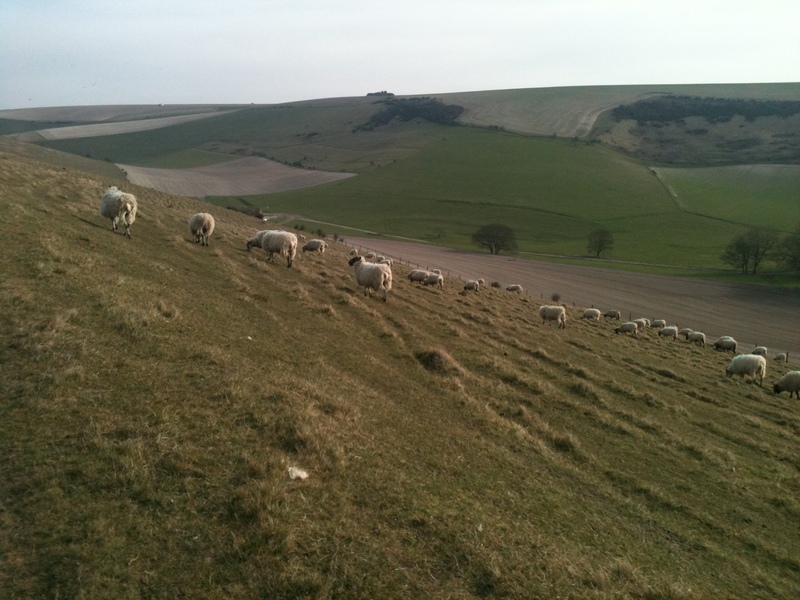 Meeting at Stanmer park then everyone is heading (ahem) up to Ditchling Beacon. They’ll be no stopping for ice-creams once you’re there though. Not in January anyway. This does start out slightly challenging. I can hear you ask ‘what’s new!’ The last part of the run is a decline and the views make it all worthwhile, even on the ascent. This is the same day that Fitbitch founder Rachael is running the Mumbai marathon and may have completed it before we set out. That’s one way to gear us on. 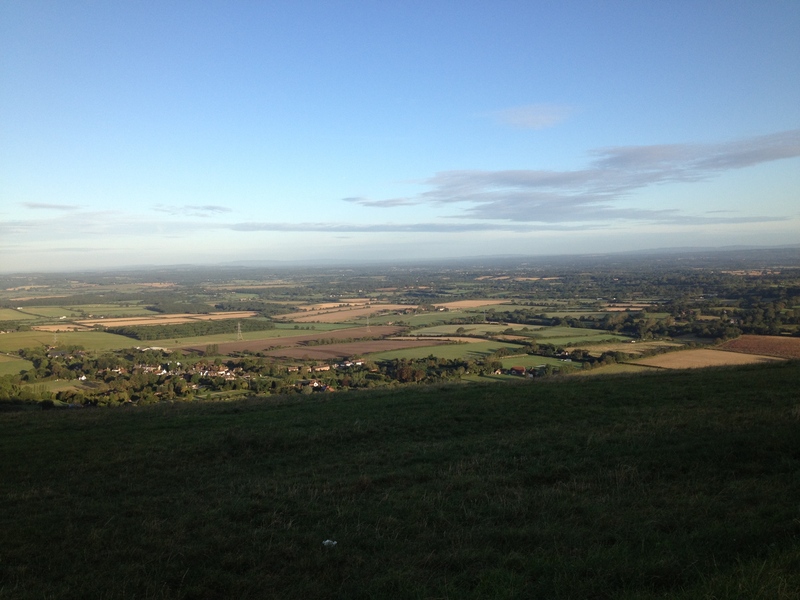 Half and Full marathon – the distances are 11 and 12 miles, which will take you west from the Beacon before heading down past the Chattri and back towards Stanmer. The 12 milers will need to add on that extra mile in Stanmer woods at the end of the 11 mile run. Catch up Course – You are all now more conditioned as a runner and are ready to take on the South Down hills. This requires more muscle recruitment and takes less impact on the joints. So don’t be put off by the H word. 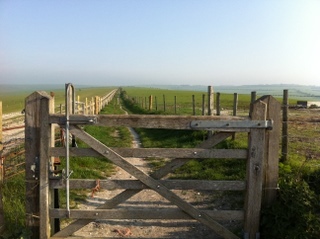 When you get to Ditchling Beacon you’ll then take a downhill back to Stanmer and through the woods. Stunning scenery for a 7 mile route. MEET: The A27 entrance to Stanmer, parking is either the left or right side car parks and we will meet by the two houses at the entrance. Please comment if lifts are needed. Bring extra layers for the post run stretch! Due to popular request, and due to what we are hearing from many runners, we are going to put on a special ‘catch up’ runners course. Social runners who are not training for anything but would like to run in a group on some of Fitbitch run club’s glorious routes. The course costs 40 pounds and must be paid for in advance online here. Drop ins at 10 per Sunday run will ONLY be available if there is sufficient space. We are only accepting 20 runners maximum on this course t provide sufficient coaching and motivational support. For details of the routes, meeting points etc, you must sign up to this blog and you will receive an email direct to your inbox with all the necessary details. Get your pre-run poses sorted! For all our runners, from beginners to advanced and anyone new to Fitbitch, this training run will tick all the boxes. 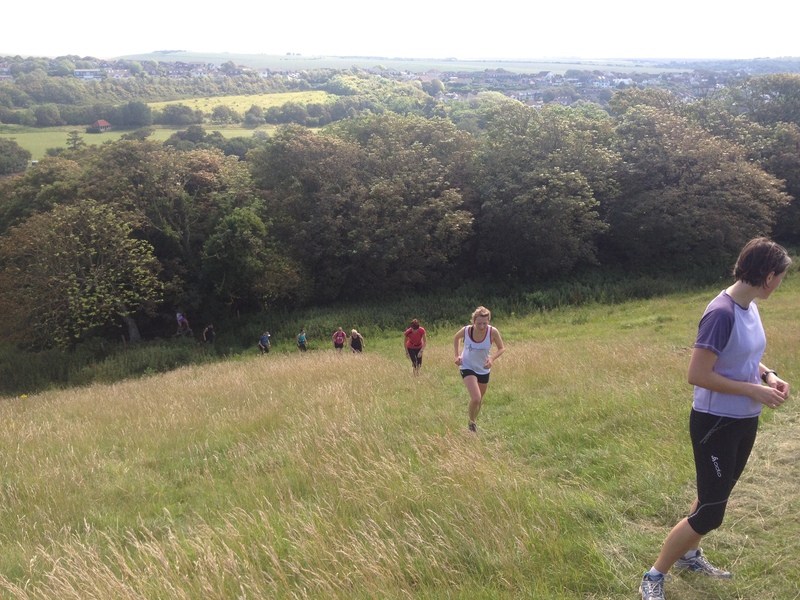 Don’t be scared by the word hill, as this route is more about undulations to help our new runners learn how to cope with gradient to help build strength and technique. And it finishes with a nice flat all the way back. If you are an advanced runner used to more miles we will be working on tempo instead this Sunday. Tempo is just as important as putting in the miles and we will work on this during the latter section of this run. We will be offering a 5 and a 6 mile route, in line with our training plans for the Brighton Marathon and Brighton Half. In this session, we will assess your running style, posture, biomechanics (with video playback weather and light permitting). The running aspect will be light and our focus will be on assessing the foundations of your running, and going through the strength and stability work essential for improving your running and helping you stay injury-free. If you have not signed up to one of our packages (annual or event specific) you can still attend any sessions you would like for £5 on Wednesday and £7 on Sunday. If you are coming along to this session PLEASE COMMENT HERE so we can ensure we have enough running coaches to provide the attention each runner requires. DON’T panic if you can’t make this session. Whatever your level, you can drop in at any time to Fitbitch. Half marathon runners who are regulars with us, you can choose to do this session or the other session that we will post. BROOKS 10K RUNNERS, please note that you will be able to transition to the Half marathon training in November (or intermediates) following a 12 week programme.